At the upcoming board meeting on Thursday February 7, the Caltrain board will consider going ahead with participation in the regional means-based fare pilot program, which would give a 20% discount to riders in low-income households.Â Meanwhile, Caltrain staff will give a heads-up that Caltrain is likely to consider raising fares on otherÂ customers in order to address a budget gap before a ballot measure moves forward to provide dedicated funding. 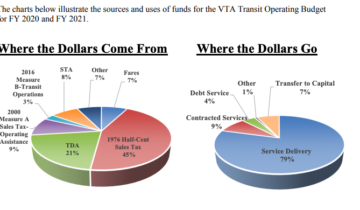 Caltrain staff analysis of the likely financial outcomes of the means-based pilot is relatively optimistic. Caltrain staff estimates that the means-based fare pilot is reasonably likely to be revenue-neutral or even net positive for Caltrain, meaning that the program would attract new low-income riders, who would pay less than other riders but would still bring new revenue (see chart below).Â Â Important elements for the pilot will be assessing how many new low-income riders are attracted, and whether the discount will encourage current low-income customers to ride more. The decisions about next year’s budget, including any fare increases, will be discussed and made at future meetings, not this Thursday. * Are you comfortable with the means-based discount program even if it adds risk of greater fares for non-low-income riders? Isn’t this a natural consequence of income inequality? Senior discount, student discount, disabled discount and low income discount. Similar to how airlines charge maximum fare for each type of customer, the same era is coming to transit that had arrived to BMR housing.